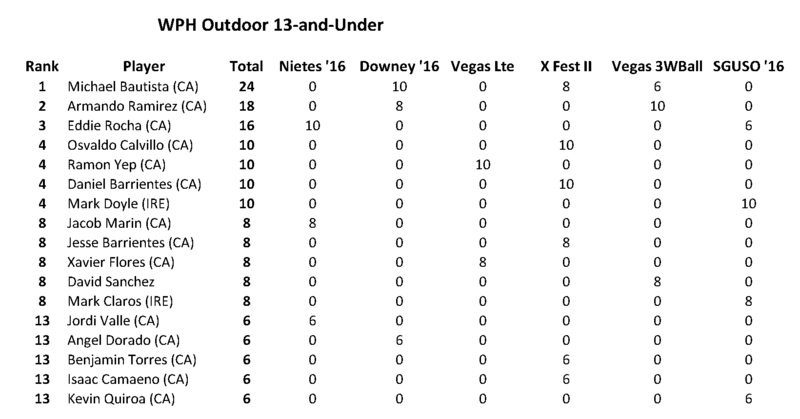 Tucson, AZ, WPH Press, 10/26/16- Junior WPH stars competed in six events during the 2016 Junior WPH Outdoor season, with the top outdoor junior stars in the world competing in four events in Southern California and two events in Las Vegas. The Simple Green U.S. Open Junior WPH 3-Wall singles featured the conclusion of the JR WPH rankings season, with the junior stars taking clinics from the top Junior WPH coaches and competing against one another for the final time of the season. Irish stars Kyle Jordan and Mark Doyle captured the 11-and-under and 13-and-under singles, respectively, with outstanding performances in their first 3-Wall starts. 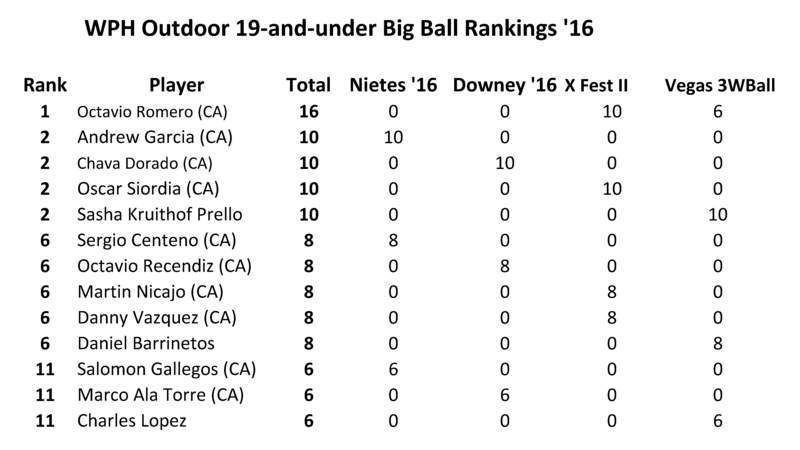 Danny Vaszquez won the 15-and-under for his first title of the season, and Anthony Perez won the 17-and-under. Junior WPH holds more than 1,000 junior handball clinics each year and dozens of junior handball competitions, all emphasizing sportsmanship, camaraderie, integrity, developing a healthy lifestyle, and having fun. Check out all of our initiatives at juniorhandball.com.